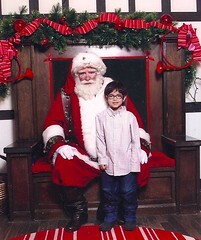 We went to Macy’s to see Santa Claus. Of course, Diego went up to him and gave him a hug. Mia on the hand didn’t. The bad news: she did not want to do anything with him. The good news was there was no crying or screaming when she saw him. Maybe next year, she will actually stand by him. Wishful thinking. Diego asked for Legos, which is great because that is what Santa had already gotten for him. 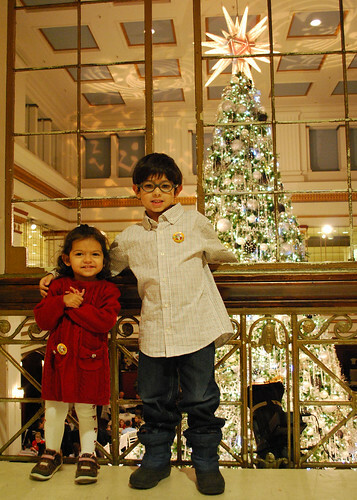 Afterward, we went to see the tree in the Walnut Room. It is beautiful. It was white and blue. It had some LED lights that looked like snow falling. We took more pictures with the kids so we can use for the annual Christmas card. This one was the winner. I can’t wait for Christmas. They will have so much fun.